Proud of its reputation as the Grand Strand's "Family Beach," this destination with its kid-friendly environment is a perfect vacation spot for families who want to relax, lean back in a beach chair, and enjoy the coastal scene. 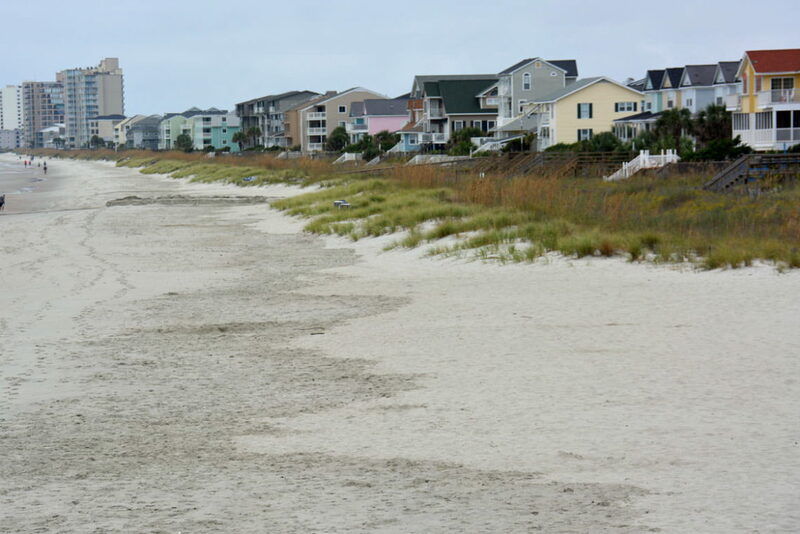 The two-square mile Surfside Beach was never a big-name destination, and even today boasts a comparatively modest year-round population of just over 4,000 residents. For many centuries, the town, known by the most unfortunate name of "Roach's Beach," was virtually isolated with just a handful or residential homes and cottages, sparingly occupied by adventurous vacationers. This changed in the 1920s when a group from Columbia bought up parcels of property with the intention of developing the town as a beach resort. The sparse community, with a one-lane sandy, unpaved road, and a handful of residences scattered behind the sand dunes, certainly had a long way to go to reach this goal. By the 1950s, the town boasted 65 homes, but when Hurricane Hazel hit in 1954, it was a devastating blow to the budding development, and 18 properties were wiped off the map. Undeterred, developers and investors continued, and by the time theMyrtle Beach Air Force Base was in operation, attracting visitors and stationed soldiers alike, Surfside Beach was rapidly growing a reputation as the "family friendly" oceanfront destination along the Grand Strand. The town essentially was, and still is, considered significantly quieter, and much smaller, but still entertaining enough to keep family members of all ages busy. Throughout the years, public walkways and parking lots were added for easy beach access, and in 2007, the town made local headlines when it enacted a smoking ban in all public places, including the public beach accesses. Quite momentous for South Carolina, the town still remains one of the only Horry County or Grand Strand communities with such a ban in place. Today, the beaches of Surfside Beach remain the star attraction, and visitors who are not staying within strolling distance of the seashore will find a dozen pay-station or metered parking lots stationed throughout the town, from 17th Avenue North all the way to 13th Avenue South and Melody Lane. Many of these beach accesses feature restroom facilities, showers, and / or foot showers for visitors' convenience, and with a gently sloping beach with small waves and plenty of splashing-room, beachgoers of all ages will feel perfectly safe and entertained playing along the shoreline. The Surfside Pier is a well-loved attraction for vacationing anglers and sightseers as well, and beachcombers will have decent luck in the early morning hours before a high or low tide exploring the shoreline, and picking up small but well-preserved seashell treasures. 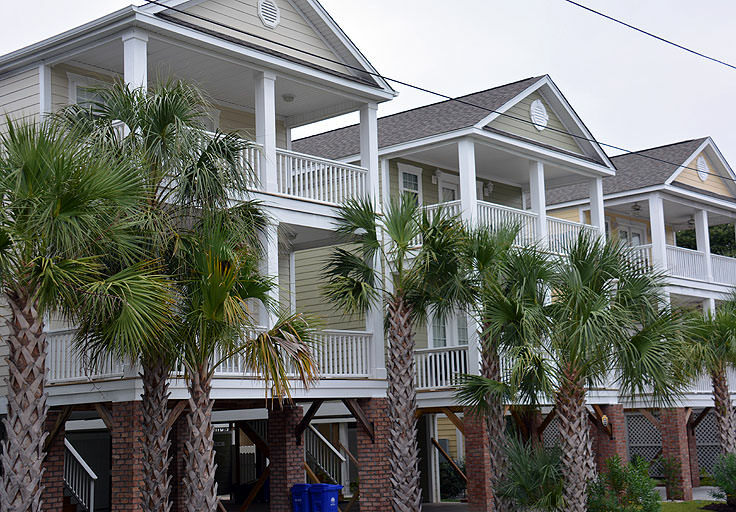 As for entertainment, Surfside Beach offers a little sample of everything that its larger Grand Strand Communitiesfeature, including a number of local theaters for an adult evening on the town. The Grand Theatre, Celebration Music Theater, and Big Laughs Theater all offer seasonal shows, that are sure to be a memorable evening out for Surfside Beach vacationers. 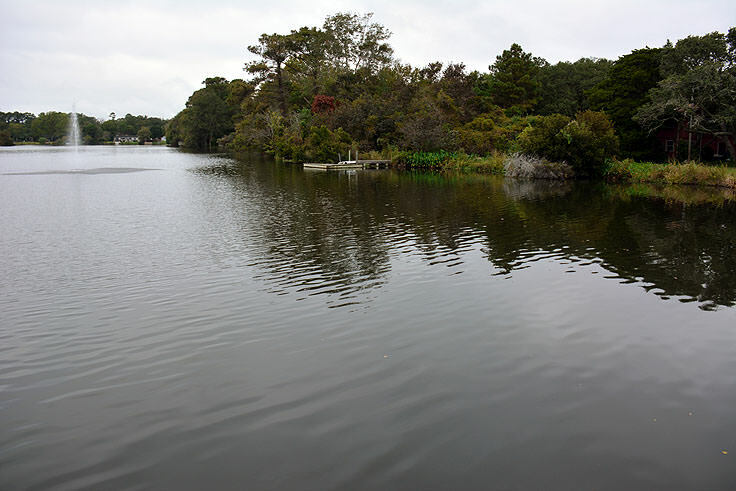 The local Deer Track Golf Resort is sure to appease the active sportsmen in the group who crave a day on the links, while the Surfside Flea Market is a fun destination for bargain shoppers and treasure hunters alike. Creative types of all ages can head to the Beach Beads & Glass Studio or Old Time Pottery to create their own masterpieces or pick up some regional works of art, while visitors young and old will have fun making waves at Surfside Beaches' Wild Water & Wheels waterpark. Boasting over 33 exciting rides within the 16 acre park, including high-speed flumes, Wipe Out wave pool, waterfalls, and a lazy river, patrons should expect to spend a full day splashing around and thoroughly enjoying the expansive facilities. There are also 70 restaurants in the Surfside Beach vicinity, ensuring that even the pickiest eaters will find a dining experience to suit their appetites. From coastal ice cream parlors to pancake houses and Italian bistros, virtually every genre of cuisine is surprisingly covered in this small, quiet beach town. 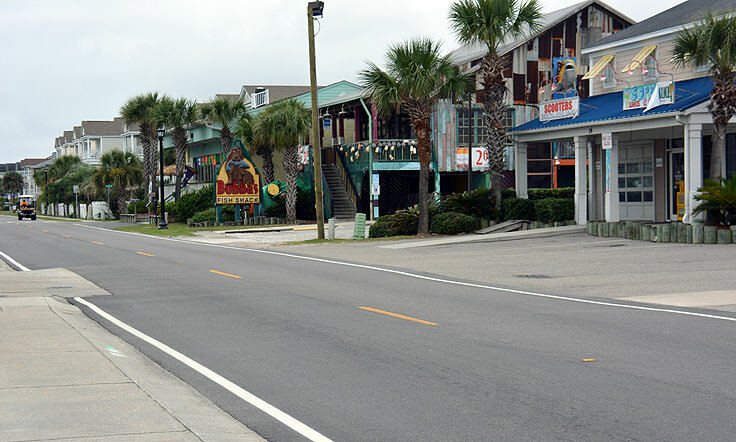 Frequent visitors attest that the seafood in Surfside Beach eateries, typically imported from neighboring Calabash, is always worth a taste and local specialties like fresh fried fish or crab cakes are always popular. Exceptionally hungry patrons are encouraged to check out the local seafood buffet, Crabby Mike's Calabash Seafood, for an all-you-can eat crab leg feast that will leave any patron satisfied. For accommodations, visitors will have a wide variety of oceanfront hotels and resorts to choose from, in addition to blocks of oceanside vacation rental homes. For longer stays of a week or more, many longtime visitors attest that a vacation rental home or condo is the way to go, as these properties can be booked online months in advance through a local property management company, and provide all the comforts of home and then some, including private kitchens and dining areas, hot tubs, game rooms, and even private or community pools. Surfside Beach may be located just minutes away from the bright lights of Myrtle Beach, but it feels like an entirely different world. 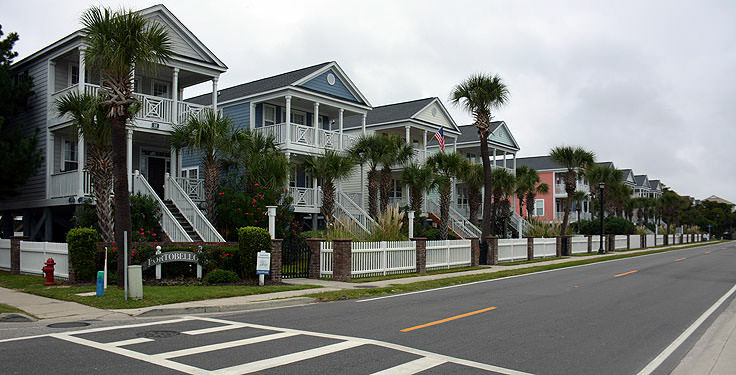 Significantly smaller, with a community of attractions that revolves around family entertainment, this recognized "family-friendly" beach is an ideal destination for Grand Strand vacationers who want a dose of peace and quiet mixed in with all the abundant shopping, dining, sporting, and nightlife opportunities of the South Carolina coastline. 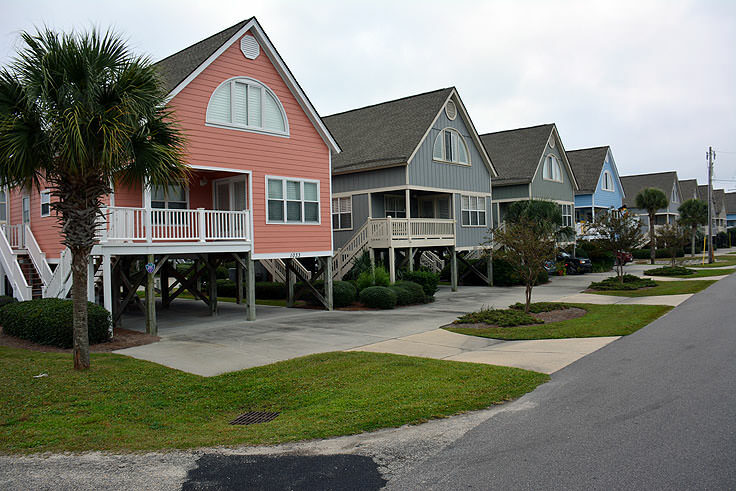 Laid-back and enjoyable for visitors of all interests, this little town is proving to be a favorite vacation destination among beach lovers who want to relax, have fun, and enjoy some quality beach time with the family.